Shaheed Bhai Beant Singh was born to Sardar Sucha Singh and Mata Kartar Kaur on May 8, 1950 in village Maloya (now an urban estate of Chandigarh). Bhai Beant Singh was one of 5 brothers and belonged to a family who had been involved in restoring the sanctity of Gurdwaras in the pre-partition era. Bhai Beant Singh’s grandfather Giani Partap Singh was an active participant of many agitations including the Nankana Sahib Morcha and Gurdwara Sudhar Lehar (Reform Movement) during the British occupancy of the country. Keeping with tradition, the grandson of Giani Partap Singh went on to restore the pride of the Sikh Nation. Between 1961-62 Bhai Beant Singh had taken Amrit but was unable to uphold the Sikh code of conduct (Maryada) for which he had deep regret. Bhai Beant Singh was an intelligent and educated person, having received his primary education from the local village school he studied for a short time at Hameerpura and passed 8th class at Khalsa School (Kharar). Bhai Sahib studied at various schools and institutes between the years 1967-1970. Bhai Beant Singh completed his diploma in Russian language from Punjab University and received Bachelor of Arts (BA) degree in 1970. In 1972, Bhai Beant Singh moved to Delhi where he gained employment as a sub-inspector and worked in the Security Branch of the Central District and Northern Delhi areas. During his service, Bhai Beant Singh resided at Vishnu Garden and became acquainted with another sub-inspector by the name of Gurdev Singh who took forth the marriage proposal of Bhai Beant Singh to Sardar Gurcharan Singh’s home, and on January 23, 1976 Bhai Beant Singh married Bibi Bimal Kaur. The couple were blessed with 3 children; Bibi Amrit Kaur (1977), Bhai Sarbjeet Singh (1978) and Bhai Jaswinder Singh (1983). Also living in Delhi was Bhai Beant Singh’s uncle (fuffar), Bhai Kehar Singh of village Mustafabad near Fategarh Sahib, a devout Sikh who was employed as an Assistant in the Directorate General of Supply and Disposal, New Delhi. As both lived in the same city, they would often meet and became closely acquainted. According to those who knew him well Bhai Beant Singh was a warm, caring and charitable man. From his village, many remember him for his righteous and ready to help attitude. Bhai Beant Singh was hard-working and honest, and these characteristics along with his courage and dedication, helped him progress speedily through his career in the police. His last employment post was as the personal bodyguard to Indira Gandhi, the Indian prime Minister. Bhai Beant Singh’s family was politically inclined toward the Congress party, as in them days it gave the impression that is was the only party in favour of the poor. Bhai Beant Singh’s employment was also the result of Congress backed reserve quota thus naturally the families political support was tipped into the balance of the Congress party. 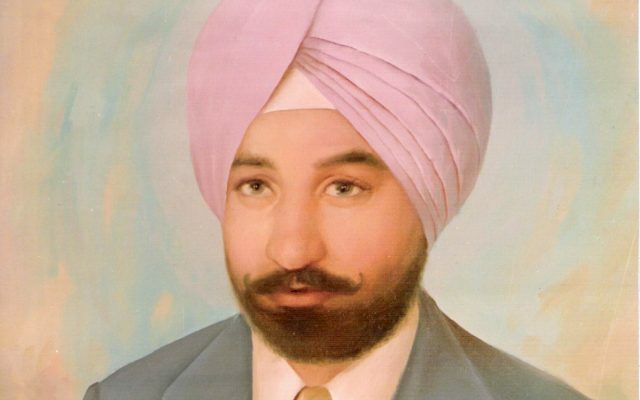 But all this was to change as the Prime Minister of India, Indira Gandhi ordered the attack on the centre of the Sikh Faith, Sri Darbar Sahib in June 1984.
Insider sources have stated that Indira Gandhi chose her two Sikh bodyguards, not only for their distinguished careers and competency, but for being Sikhs. She was warned by her advisers that she should remove all Sikhs from her employment, as she was responsible for the hurt and anger caused to the Sikh Nation. Yet she was arrogant, and wanted to show the world that she had suppressed the Sikhs, that this so-called martial race was not to be feared of. That she could destroy the highest temporal authority for the Sikhs (Sri Akaal Takhat Sahib), yet she would not suffer any repercussions. Although a risky and foolish decision, it is one she adopted for PR as well. Arguing that how could she be racist or discriminate towards the Sikhs when her own bodyguards were Sikh. On October 31, 1984 Bhai Beant Singh & Bhai Satwant Singh punished Prime Ministed Indira Gandhi for her crimes against the Sikh Nation & in the process Bhai Beant Singh attained Shaheedi.